Random texts on business, the Internet and life. I spotted another movie with Google product placement: Reservation Road starring Joaquin Phoenix and Mark Ruffalo. Joaquin plays a father that just lost his son in a hit and run accident on ‘reservation road’. Not believing the police was doing enough he decides… to google ‘hit and run’. Great documentary about Blair, Britain, some Bush and more Bull Sh… : Taking Liberties. Scoop is the new movie from new yorker director Woody Allen. Scarlett Johansson plays the role of a clumsy journalism student that investigates a lead for a serial killer. After hearing the name of the suspect, she tells Woody Allen that plays a magician in the film: “I googled him!”. Moments before we had seen her at her home computer and the big Google logo takes over the screen. 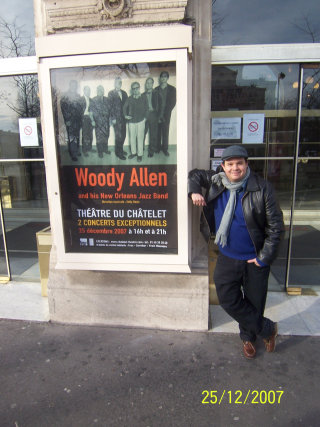 From a strict marketing point of view,I think it´s clever to place addvertisement on a Woody Allen´s movie, his audience is known as clever and definetly influential. And it must be much cheaper (and perhaps even more effective) than having it in Mission Impossible or Spiderman. Talking about product placement, I think last year Disney really exagerated: Knowldege@Wharton reports that they offered church pastors prizes if they mentioned Disney’s film “The Chronicles of Narnia” in their sermons. Oh boy.